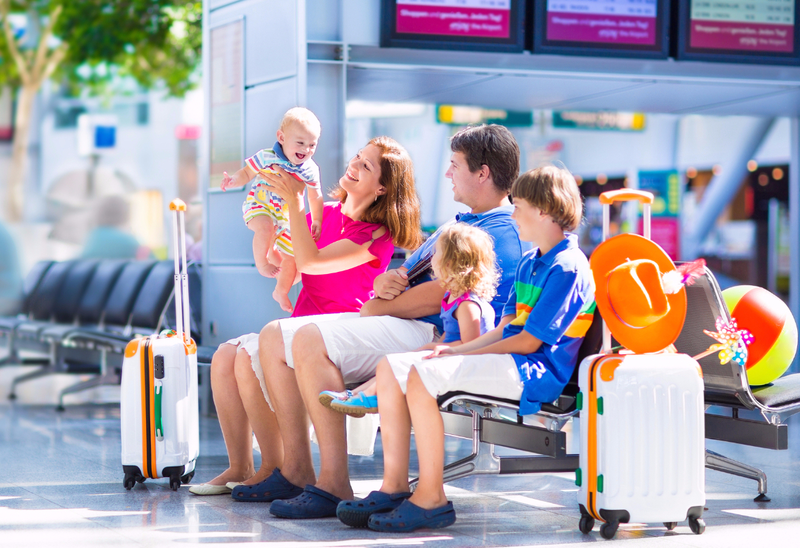 5 Travel Tips for travelling with Infants and Small children. 1. Make a Checklist: Don’t ever pack your carry-on without a checklist. While older kids can carry their own bags, you don’t have that luxury when flying with an infant. If it’s not packed, you won’t have it, and airport stores rarely carry many baby supplies. Be sure that you start packing a couple of days in advance of your flight so you have plenty of time to pack all of your baby gear. A couple of Ziploc bags – they come in handy for storing snacks and keeping soiled clothes separate in your nappy bag. 2. 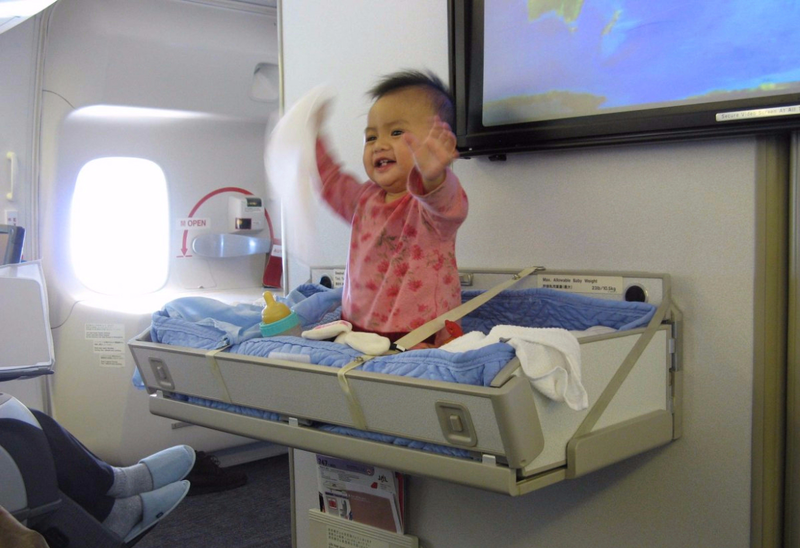 Prepare for Takeoff: If you’ve ever been on a flight with babies on board, you’ve probably heard them wailing during the takeoff and the touchdown portions of the flight. That’s because the pressure can cause major pain for babies while flying. If you’ve got a little one tagging along, a good idea is to breast feed or bottle feed during takeoff and landing. The sucking motion helps relieve pressure so there’s fewer tears...even a dummy can do the trick. ﻿3. Pack Medicine: In the past, parents used to deliberately medicate their babies before flights for an easy journey. Don’t do this. You may still hear this advice from well-meaning family members and older friends, but it’s terrible advice. You should never give medication to a child who doesn’t need it. You should carry medicine, however, just in case your child becomes unwell during the flight. Ear infections can appear without much notice, so it’s always worth carrying a sachet or two of pain relief medication just in case. 4. Presents for the Toddlers and Young Children: A wonderful idea for young children/toddler to help pass the time, whilst keeping them happy and settled, is to pack a few wrapped presents that you give them throughout your journey...We call them Aeroplane Surprises! You don't have to break the bank on this (the trip is probably already doing that!) but simply go to your local $2 shop or toys section in the supermarket...and don't forget buy some wrapping paper to wrap them in. It does a great job of keeping them excited and entertained for the flight. 5. Double Check Bassinet requirements: If your travelling with an infant that requires a bassinet, make sure you double triple check with your airline the age, height and weight restriction for their bassinets. The Bassinets are typically located at the bulkhead of the plane (Near the kitchen or toilets) and every airline seems to have their own restrictions...So make sure you check well in advanced that your bubs will still meet them when you fly...including for the return journey because if you are abroad for some time on the return leg they may have outgrown a particular airlines restriction. It’s not always going to be smooth sailing when you’re travelling with an unpredictable infant. Nappy blowouts, gassy bellies, and crying spells can make you feel flustered. But making sure that you’re prepared for anything can help you feel more confident in your abilities. And in a worst-case scenario, live by this mantra: “It’s only temporary.” You’ll be at your destination in no time, with heaps of experience under your belt for your next trip. Those aeroplane bathrooms are pretty small you can make your life easier by packing some individual changes in a zip lock bag. If your nappy cream and wipes are in one bag and another small bag with a nappy and a nappy bag for the soiled nappy. This makes it super easy to grab when things are stowed away and leaves plenty of space to change the baby without your usual giant nappy bag! At Named we know that travelling with the little ones can be a tough going. Its for this reason that we have designed a range of items that help entertain the kiddies whilst your on the road (or in the sky). 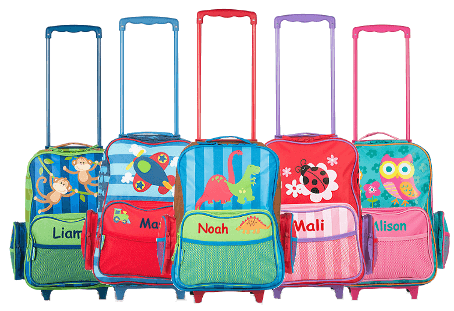 We've got a bunch of toys for kids and babies that'll keep them busy as well as a whole range of personalised rolling suitcases that will have them happy and proud to wheel their own luggage! :|~|:prdattr:--: data-id='433255' class='row zp ba-433255':|~|:mcontclstpadd:--: class='cluster cluster-padding-medium container zp cac-433256':|~|:mcontattr:--: data-id='433256' class='cluster-wrapper zp ba-433256':|~|:imgpos:--:left:|~|:handle:--:wonderfully-wise-owl-sketch-pad:|~|:descfnts:--: class='offset-bottom-sm product-description word-wrap zp pda-433255':|~|:clstid:--:118252 slctvrnt:--::|~|:prdurl:--:http://named.com.au/products/the-personalised-magical-unicorn-princess-rolling-luggage:|~|:prdbtnltp:--:product:|~|:prdbtncpt:--:BUY NOW! :|~|:prdbtnattr:--: class='btn-custom lime-color-btn add-to-cart-btn button-medium zp bcss-433259':|~|:prdbdhtml:--:Continuing on with the Unicorn theme design, these personalised rolling luggage are the ideal height for little travellers, this children's rolling luggage is the perfect companion on any trip. It has multiple pockets to keep your child’s most prized toys safe and an extendable handle for easy rolling...AND being personalised mean they will never get lost! Great products and very fast turn around I am very impressed with my items I purchased as a gift. Will defiantly be a returning customer. Was looking for a cute, personalized gift for my baby cousin and these guys certainly delivered! I was ecstatic to find an email with pictures of my personalized gift before it was sent out - it was an unexpected, but thoughtful gesture. Couldn't be happier with my experience and would definitely recommend and use again in the future!